Penne for your thoughts? How about a Penne to add to the family?! I am an adorable 5 month old gal hailing all the way from the tropics of Hawaii. I don’t gnocchi what my breed mix is really, but the trainer says I’m no impasta to the sighthound group, and most likely am an Italian greyhound mix currently weighing in at 8lbs. Though I look just like a miniature Pharaoh hound! Since I am young pup, I have much to learn and see still. The pastabilities are endless! I’m a sensitive gal, but am gaining the confidence I need to explore the world. I love my puppy pals friends, so maybe another confident doggy can help show me the ropes! As far as Portland goes, well, this ziti is all new to me, but I am curious and respond well to training and am continuing to have positive associations in the world. PUPPY CLASSES ARE MANDATORY FOR MY ADOPTION. When it comes to playtime, I’m a saucy one and really enjoy playing with my favorite toys and getting the zoomies. Whether it’s my human pals over 12, my doggy friends, or those dog savvy kitties too, I am a friend to all who will join my pasta crew! 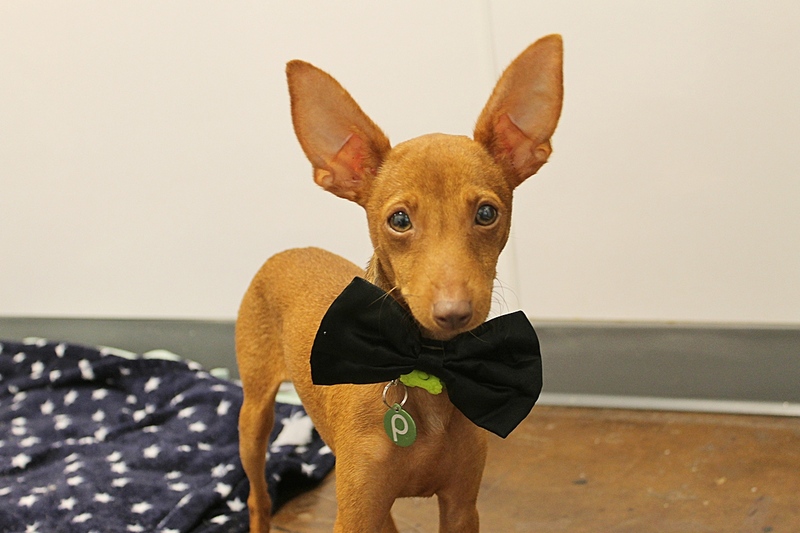 Adorable, hilarious, sweet, and playful, I am just a young pup looking for someone to show me the world, get me into a routini, and have some fun and cuddles together! The pesto’s yet to come! So fill out an application today, and we can set up a meet. I come to you vaccinated, micro-chipped, and spayed with an adoption fee of $400.